* Activates entire body, relieve tiredness quickly. * Excellent body shaper melts away mass body fat. * Soothes insomnia efficiently, helps you unwind. * Increases blood flow to keep healthy. 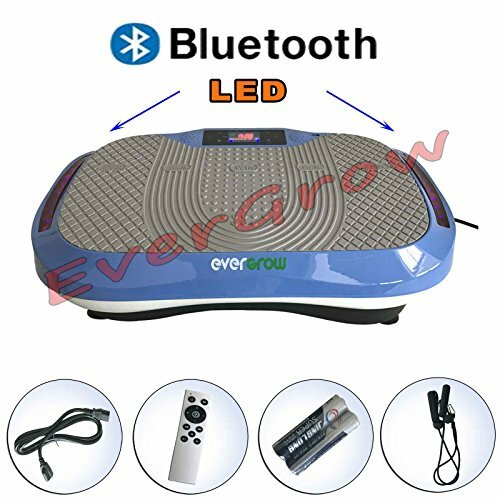 * The magnetic foot massage will help strengthen metabolism, maintain youthful vigor. * Sports injury prevention, rehabilitate injuries and ailments. * Help elasticity on the skin and muscles. Increases muscle strength and performance. * Prevent fragility from long lacking exercises. Beautify the skin by promoting the metabolism. If you have any questions about this product by EVERGROW, contact us by completing and submitting the form below. If you are looking for a specif part number, please include it with your message. Whole Body Vibration Training Chart for Portable Vibration Fitness Machines, Now with online video support.